When visitors come to your site, you would like them to stay for a while, and in the end, make some action based on the purpose of your site. That might be filling in a contact form, placing an order, or calling customer service. Whatever it may be, it is your job to make that action easy for your visitors. As soon as they are not sure what to do or where to get the information they need, they will move on, leaving you’re your website behind. Having eye-catching “Call-to-action buttons”, or as our Midwest Digital Marketing team calls them, “CTAs”, is one technique for guiding your visitors toward taking action on your website. 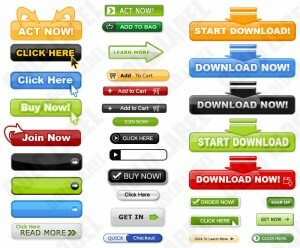 There are many ways to design CTAs. You’ve most likely seen the hideous fluorescent blinking banners and buttons, but that’s not something you want to put on your tastefully-designed website. At Midwest Digital Marketing, we use other techniques to get the visitor’s attention. For example, by using complementary and contrasting colors, shapes and patterns, we can create a design that is consistent, yet stands out and helps guide the visitors toward the desired action. With complementary and contrasting color choices, unique shapes and sizes, catchy and simple copy, your CTAs will lead the visitor happily to where they need to go. And that mean business for you! Filed under: Business Coach, Digital Marketing, Website Design.